Rahul Dravid lavished praise at VVS Laxman's stroke-making capabilities during the epic knock that provided the foundation for India's historic victory over Australia. 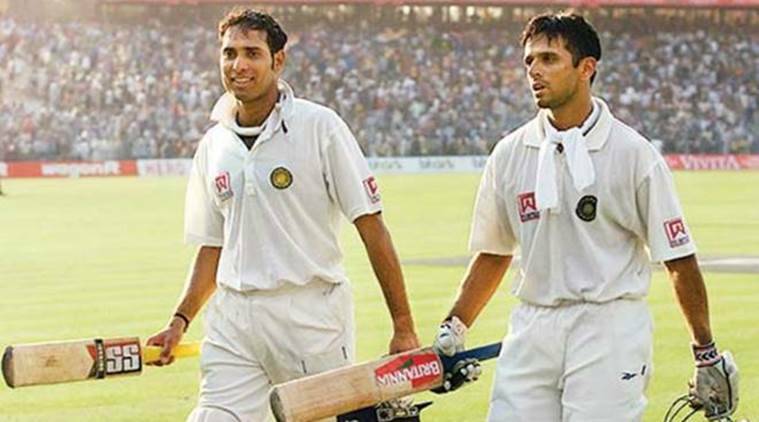 Rahul Dravid had the “best seat” in the house when VVS Laxman scored his epic 281 against Australia at the Eden Gardens, an innings that the former captain termed as the “greatest innings by an Indian”. “Without a doubt, I think, the 281 was probably one of the most significant and greatest innings played by an Indian cricketer, in terms of the context, the consequence, the innings was played in,” Dravid said at the launch of Laxman’s autobiography “281 and Beyond” late Thursday evening here. “I really had the best seat in the house for the greatest Indian innings ever played,” he added. Dravid also lavished praise at his stroke-making capabilities during the epic knock. “I was still imagining him and visualising him, stepping outside the leg-stump and hitting Shane Warne through the covers, for a ball that is pitched yards outside the legs-stump. Or to be able to flick a ball on the middle and off-stump on a turning track in Kolkata, across the line, against a great bowler like Shane Warne,” he said. “Or driving Glenn McGrath or Jason Gillespie. The way he did it, I think, for me, it was an incredible experience, watching him bat,” he added. Dravid also said he does not like watching lot of cricket but when he enjoyed Laxman’s 281 runs innings, sitting in his house. “It was absolutely phenomenal to watch. Sometimes, I don’t like watching a lot of cricket. I really hate watching myself bat again when sometimes they show these old matches. If I am playing in that, I actually change the channel,” he said. Dravid, who smashed 180 and stitched 376-run partnership for fifth wicket with Laxman, said he was not in greatest of form, but he gained confidence after watching Laxman bat, who was already in the 90s. “To be honest, I was not in the greatest of form leading into that particular innings. By the time, I went into bat (at No 6), Laxman was batting at 90-odd. I was not playing well in that series and watching him play gave me a lot of confidence. It was a magical day,” he said. Laxman said both he and Dravid played according to the merit of the balls and hardly conversed, but punched each others gloves to stay on the wicket. “It was a terrible situation for all of us to be in. We were thinking of the present. We are 274 runs behind (after following on). All we did was, playing according to the merit of the ball. “And we did not have too much of conversation. All we did was punch the gloves and said ‘one more over’. We broke it down into small goals,” Laxman said. Asked about the conversation they both had in the middle of the pitch, Dravid said he was keen on striking a conversation with Laxman, but was busy marking lines round the batting crease. “He had so many of his routines, like, he will tap the gloves, then he will go to the crease, mark seven times this side and six times the other side. “Then Laxman will come and stand. He was in such a rush to do all his lines that there was no time to have a conversation. I am waiting there to talk to Laxman and he is busy marking lines. I always used to pull his leg about it,” Dravid recollected. Gundappa Viswanath, Roger Binny, EAS Prasanna, Syed Kirmani, Javagal Srinath, Anil Kumble, Dodda Ganesh, Robin Uthappa and several other former cricketers, graced the occasion.